1. What is the Recruiter Certification Program? The Recruiter Certi­fication Program (RCP) provides both novice and experienced recruiters with a comprehensive set of modules that cover the necessary techniques to improve their recruiting abilities, client management skills, and overall cycle management. Based on proven recruiting techniques, RCP is an interactive program delivered through seven primary modules, with ancillary modules covering additional topics such as advanced sourcing skills and performance metrics. We have developed the Program to help alleviate common issues within recruiting. By gaining familiarity with the latest trends, metrics and behaviors, recruiters will be able to put more of their focus on candidate and client satisfaction. 2. Why was the RCP Created? With no universally required training, recruiters often feel lost and stranded, turning to Google or elsewhere for answers on basic questions such as “How do I leave a voicemail?” “How do I talk to my Hiring Manager?” “What does it take to be a good recruiter?” Within the RCP we work to address every common issue recruiters may face, from the basics of becoming a great recruiter to the intricacies of metrics, sourcing, and candidate interaction, and everything in between. With years of recruiting expertise, our trained experts know first-hand what techniques to address, what works and what to avoid, and how to effectively teach recruiters each and every aspect of full talent acquisition functionality. Our goal is to assure RCP-trained recruiters they have what it takes to recruit the right way, equipping them with the knowledge and resources necessary to feel completely prepared to hit the ground running. 3. I already know how to be a recruiter. Why should I become certified? The RCP program won’t just show you how to be a recruiter, it will show you how to recruit the right way. Our innovative training modules cover new industry and market trends and topics crucial to recruiters at all experience levels. From advanced online sourcing techniques to recruiting metrics, the Program will bring your recruiting to a new level. 4. What are the benefits of taking RCP online? The Recruitment Education Institute Online Video Training is a renowned web-based program that provides recruiters with the knowledge and skills necessary to succeed in today’s fluctuating recruiting industry. The modernized online training modules extensively cover industry and market trends and topics crucial to recruiters at all experience levels, including best practices in online sourcing and web search, effective metrics, and behavioral based interviewing. Each participant has the choice of completing the RCP online training as well as four advanced modules for additional credit hours. In addition to certification through The Recruitment Education Institute, the video training is approved by the Human Resources Certification Institute (HRCI) and awards credits toward recertification. Best of all, participants are able to complete the Online Video Training at their own pace, with the ability to pause, rewind, and revisit modules at their choosing. 5. Can you explain the different modules and what advantages they have? Our tips, techniques and tactics will allow recruiters to hit the ground running or freshen up their skill set. Based on proven recruiting methods, RCP is an interactive, modernized program that covers crucial recruiting topics such as behavioral based interviewing, online sourcing, and candidate outreach methodologies. By gaining familiarity with the latest trends, metrics and behaviors, recruiters will be able to put more of their focus on candidate and client satisfaction. Our advanced modules take the training a step further by laying out advanced fundamentals of sourcing, interviewing, and brand building. Full Cycle recruiting methodologies including writing the job description, asking the right questions, becoming an expert, presenting the offer. 6. Can I show RCP to my employer and have our whole team certified? The more the merrier! RCP is set up as an interactive program in which everyone can be logged in simultaneously, allowing large groups to take the training all at once. Additionally, many participants, such as recruiters with Blue Cross Blue Shield, Cisco, Bright Horizons, and Whirlpool, have chosen to participate in the onsite training and take the online module training as a supplement. We have a variety of options for your team and will work with you to decide what type of program best fits your needs. 7. Is the program for a certain type of recruiters only? For both novice and expert recruiters, it can be extremely challenging to fully comprehend all of the complexities, trends, and best practices of an ever-shifting industry. The Program prepares a new recruiter or act as a refresher for a more experienced recruiter, regardless of industry, contingency, or employer. The underlying goal of RCP is providing novice and experienced participants with a set of modules that cover the necessary techniques to improve their recruiting abilities, client management skills, and overall cycle management. 8. How will being certified help land me a great recruiting job? Professional development in any industry is beneficial, but this is particularly true within recruiting. In an ever-shifting, technological industry, it is vital to remain up to speed on industry changes and methodologies and use these to your advantage to be the best recruiter possible. Our training will distinguish you from other recruitment professionals by having acquired the highest level of professional knowledge available. Being a trained recruiter helps organizations make careful selections about the recruitment professionals they trust to recruit top talent. As elite members of the industry, trained recruiters demonstrate on a daily basis that they have the knowledge and skills necessary to successfully perform. 9. Who is the REI Chief Trainer and what is his recruiting background? With more than two decades of experience in the Recruiting industry, Steve Lowisz is a highly regarded trainer and speaker on all things pertaining to the trade. Steve’s passion is to educate and equip recruitment professionals and hiring executives with the tools and techniques required to create effective recruitment functions and processes. His unique and sometimes unconventional delivery style is engaging, challenging and thought-provoking for recruiters new to the industry all the way up to the seasoned executive seeking the best talent. As a highly rated speaker, Steve is often requested by leading recruiting conferences to share his insight, trends and recommendations as a keynote speaker, workshop facilitator, and panel moderator. 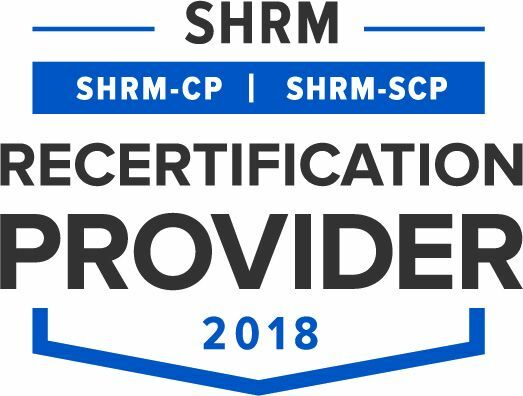 Steve has appeared at regional and global SHRM Conferences, Recruiting Trends Conferences, ERE Expos, and World HRD Congress Conferences, as well as local talent acquisition meetups and international talent summits. 10. What makes RCP more beneficial than other training programs out there? The Recruiter Certification Program has been delivered in countries all over the world and REI is a global leader of comprehensive recruiter training. Our model serves as an A-Z guide to becoming the best possible recruiter, leveraging industry trends and tactics with classic methodologies to cover every aspect of recruiting including metrics, leading your hiring manager, sourcing, and every aspect in between. The Program is a step-by-step process designed to ensure the success of every recruiter. REI aims to educate participants on crucial recruiting strategies, communication techniques, and sales methodologies through an interactive and engaging format.